I love Comic-Con... not because the venues allow me to physically attend (which I can't and don't), but because of all the online materials that scatter all over the internetdom, satisfying all fans far and near. Some of the best trailers, posters and other materials come out during these events... materials that are usually toned down when released on usual days (except maybe during Super Bowl and the likes). 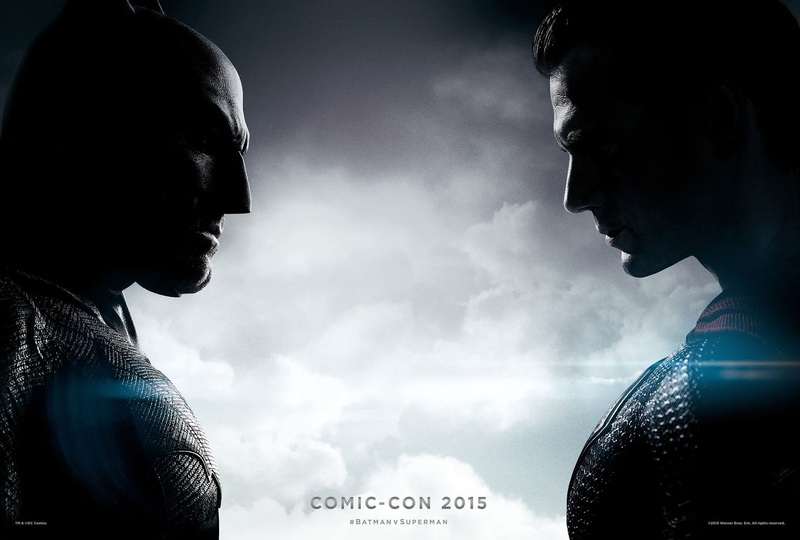 One such example is the newly released Comic-Con trailer for Batman v Superman: Dawn of Justice. Batman v Superman: Dawn of Justice is directed by Zack Snyder and stars Henry Cavill, Ben Affleck, Gal Gadot, Jesse Eisenberg, Jeremy Irons, Holly Hunter, Callan Mulvey, Tao Okamoto, Amy Adams, Laurence Fishburne and Diane Lane. Watch it now! Batman v Superman: Dawn of Justice Comic-Con trailer. The rumble for Batman v Superman: Dawn of Justice starts in theaters on March 25, 2016.